Noise from honking cars and police sirens can disrupt sleep, but it also may increase the chance of developing diabetes, according to a large study from Denmark. 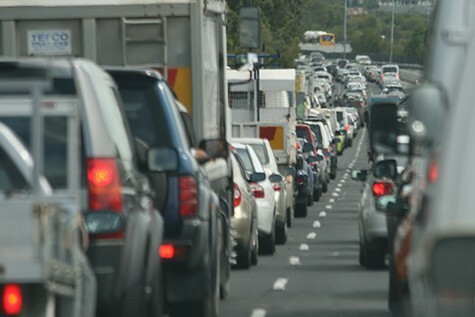 The researchers compared noise levels from road traffic to the incidence of diabetes in 57,000 people. As the noise levels increased, so did the risk for developing the disease. The risk increased by 8 to 11 percent for every 10-decibel (dB) increase in road noise. A decibel is a measure of loudness and intensity of sound. The results suggest that living near heavily traveled roads may increase the risk of developing diabetes. To make sure they were measuring effects from noise, the researchers adjusted for several other variables associated with diabetes, including body mass index, education, lifestyle characteristics and nitrogen oxides, which are formed from vehicle exhaust and are known to increase the risk of the disease. This research contributes to an increasing number of studies that show traffic noise can harm human health. While this study examines the relationship between traffic noise and diabetes, prior ones have linked noisier roads with cardiovascular disease. The results have important implications for urban planning. As major cities attempt to increase urban density, more people may live closer to heavier traffic and noisier roads. Further, people with low incomes typically live closer to major roads and highways, putting them at greater risk. The researchers examined records of 57,000 people, aged 50 to 64 years, who were enrolled in the Danish Diet, Cancer, and Health cohort between 1993 and 1997. Traffic noise was calculated for 1990, 1995, 2000 and 2005. Personal, health and socioeconomic information was gathered through questionnaires. A computer model previously used to estimate traffic noise in Scandinavia predicted exposure based on traffic volume, vehicle type, speed, and road type. Noise exposures for roads with more than 1,000 vehicles per day were calculated for the time of diagnosis and for the 5-year average before diagnosis. The researchers report that residential traffic noise was associated with a higher risk of diabetes. Links were stronger for longer — five years — versus shorter — one year — exposures. Several factors — including stress and lack of sleep — may explain how noise could influence the development of diabetes. More noise can increase stress, altering steroid hormone levels, and interrupting insulin activity. Poor sleep quality — such as not reaching deep sleep cycles — has been shown to disrupt the body’s glucose regulation, which also impacts insulin activity. Interestingly, there was no relationship between road noise and diabetes among people with more than ten years of education. Why the association was not observed for the more educated group is not known. The authors speculate people with more schooling may have taken measures to reduce their noise exposure while sleeping.